As a celebrated figure, we proudly present Totem HSS Cutting Tap Set. We undergo a thorough process of vendor selection. 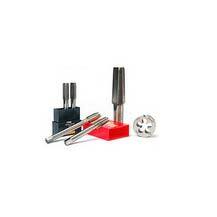 Compatible with a diverse range of materials and conditions, it is applied in general machine tapping purpose. Our purchase agents procure it after running several quality checks. The range on offer is equipped with features like abrasion resistance, corrosion resistance and long lasting nature.